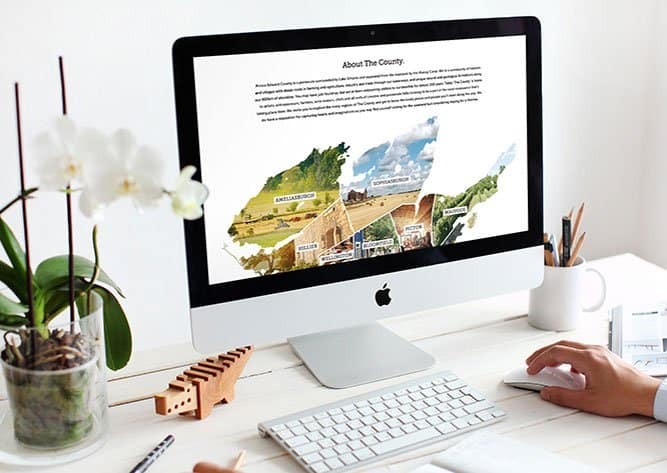 With its combination of rural calmness and authentic sophistication, The County has become a hotspot for tourism, creativity, innovation and entrepreneurship. for a strategic brand position, tone of voice, and visual identity. Using the rebranding services of 1dea, it set out to establish a foundation for both in-market and external-market presence. 1dea worked with multiple layers of committee and municipal council to lead the rebrand initiative. Beginning with collaborating with a marketing committee of community professionals, we aligned strategy with visual presence and tone. 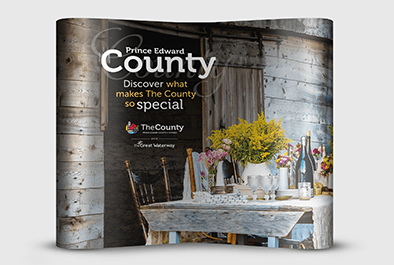 This was a significant rebrand for The County who was seeking to bring together a divided community under one celebrated and embraced brand vision. We identified quickly this would be no easy task. 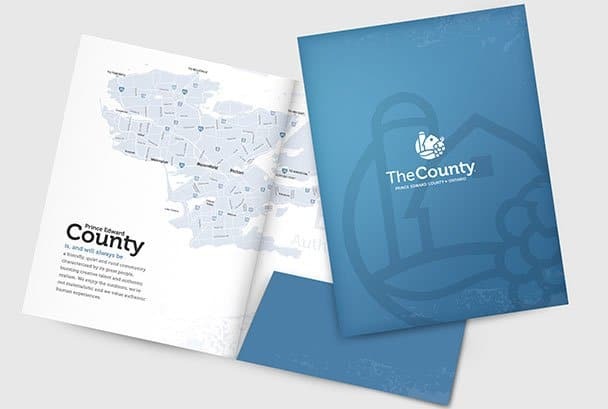 In establishing a new brand identity for The County, it was imperative that we fully explore the brand attributes, brand character and brand tone of The County. 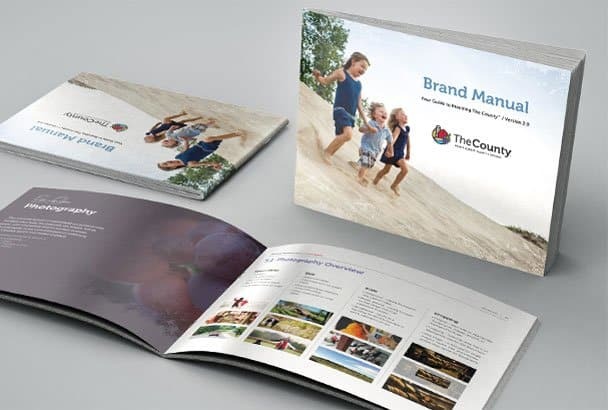 This was completed by formalizing the visual style in the form of mood boards (shown below) as well as completing a brand attributes word mapping exercise to align the mood board visuals to the descriptive personality of The County. 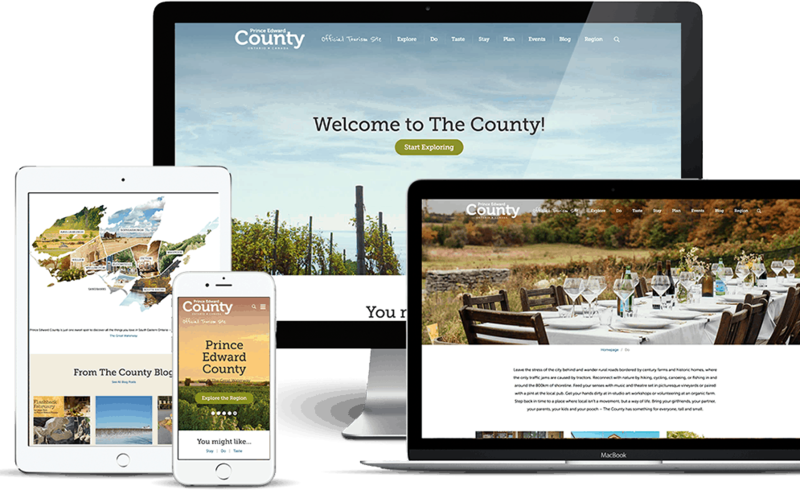 The rustic contemporary brand character defines The County’s brand today. 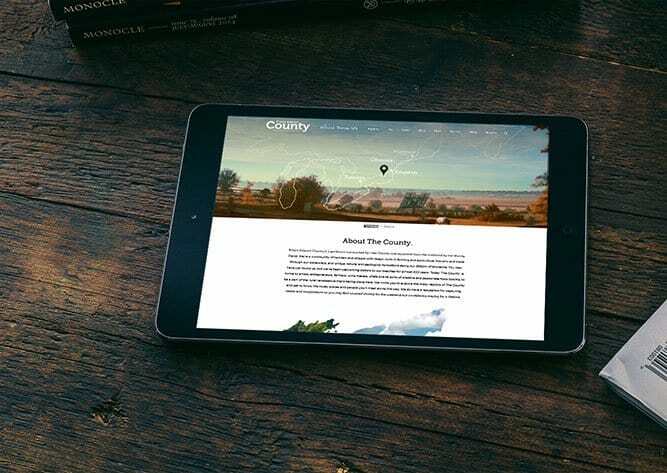 A further development of the rebrand was the design and development of a new tourism website. 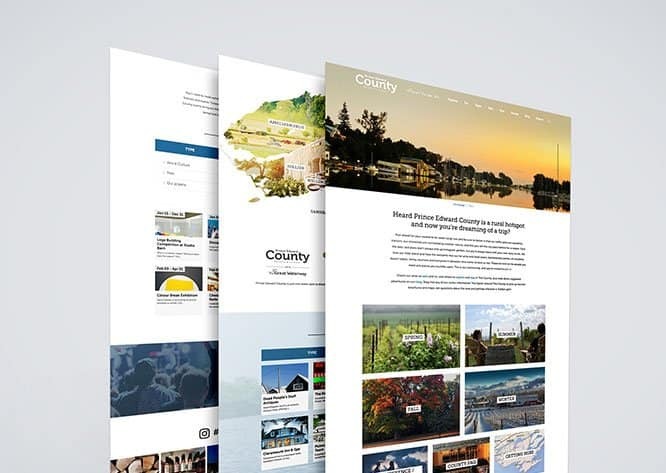 This comprehensive, fully responsive website provides in-depth resources through interactive filtering of 100's of tourism operators profiles with supporting user generated galleries. 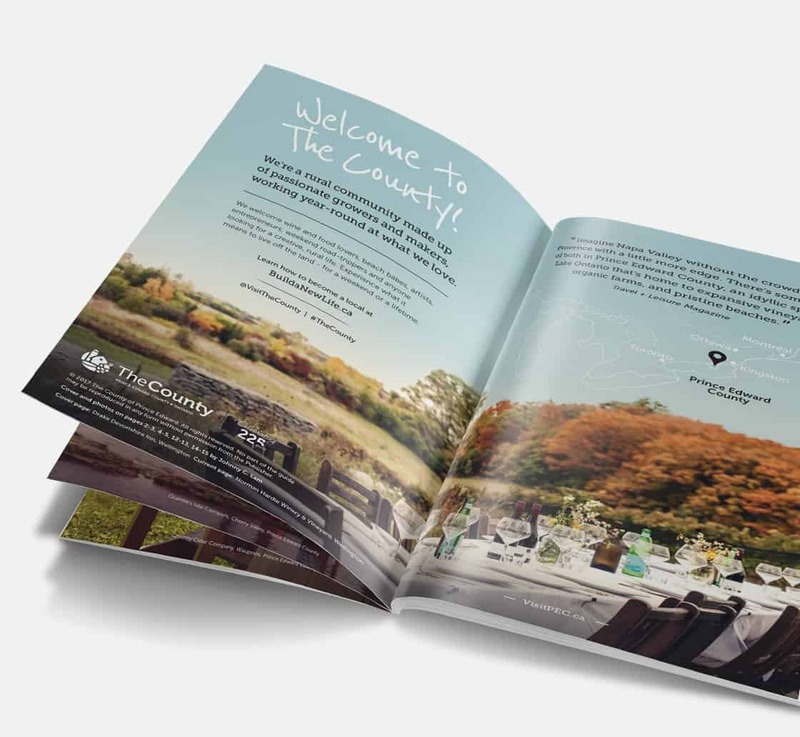 One of the showpieces of The County marketing materials is the Visitor Guide produced each year. 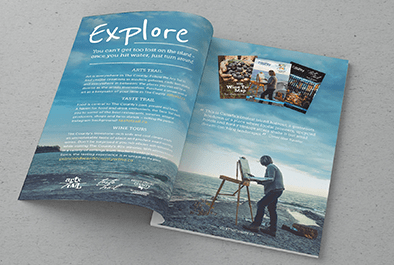 This 16 page booklet is a collection of engaging visuals, short stories and visitor quotes. 1dea has been responsible for the design and layout for the last three years. 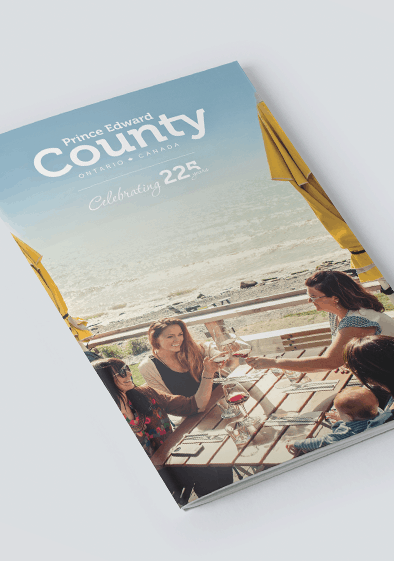 This publication has been recognized as “Best Single Publication” National Award Winner 2015 as given by the Economic Developers Association of Canada (EDAC). 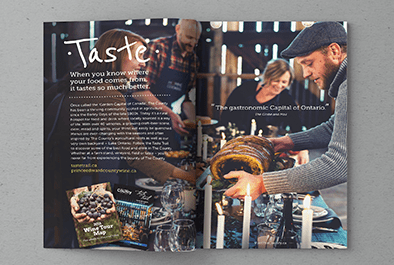 In addition, it was recognized as a nominee at the Ontario Tourism Awards of Excellence (TIAO) for “Best Print Collateral”. Since 2015, 1dea has provided ongoing graphic design support in the carry through of the visual identity. 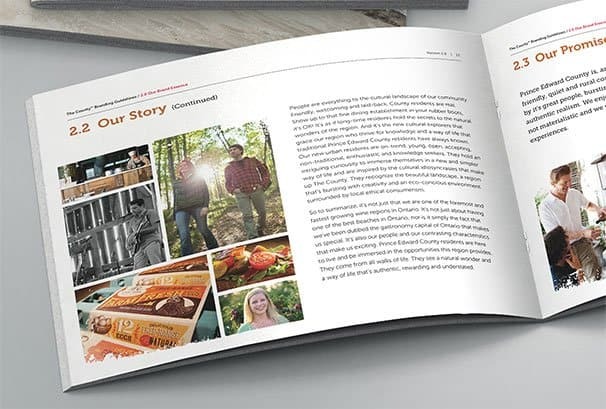 This spans all forms of media from print to digital to large scale design installations. Since the launch in 2015, there has been a strong support of the branding direction and carry through of the visual identity. 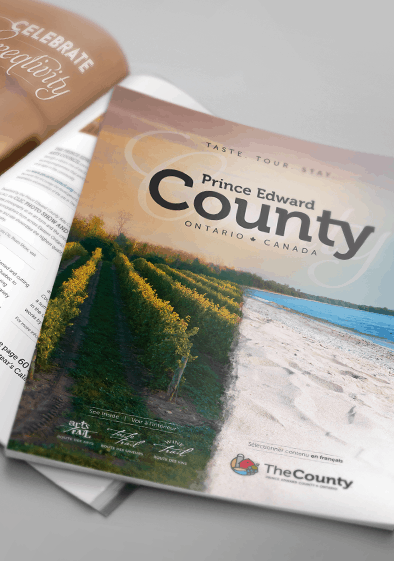 This is proven as the branding initiative was recipient of one National award and two additional Provincial awards. 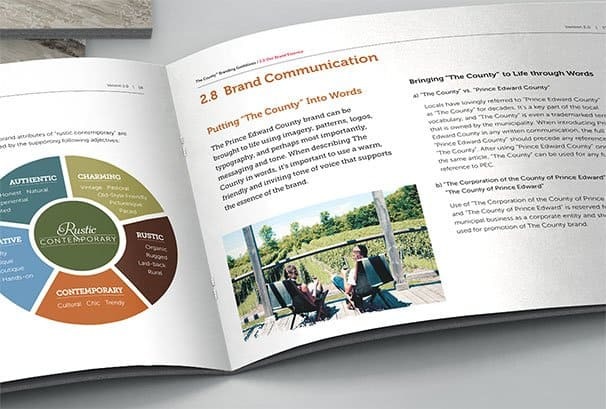 Within The County, there has been a positive embrace of the brand style with many events and business building from the look into their own materials. 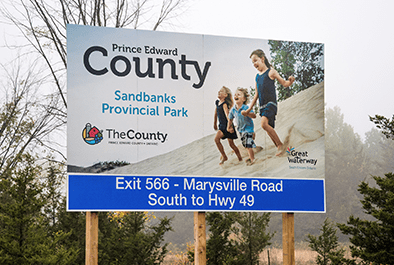 Good things continue to happen in The County as media and visitors are singing praises for the area. 1dea continues to provide various services for The County and is pleased to help build this brand into the future.